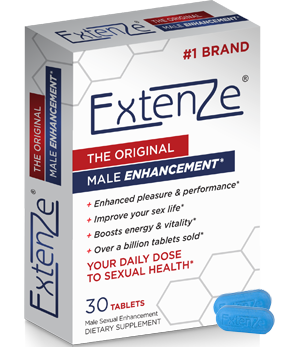 Some brands make outrageous claims about how they can make you larger, but ExtenZe® doesn't make outrageous claims because ExtenZe is the #1 selling male enhancement pill in America with over a billion pills sold. Two months to a more AMAZING you. It's not about not being enough, it's about being more. Take one pill of Original ExtenZe® for 30 days and start seeing and feeling the results almost immediately. 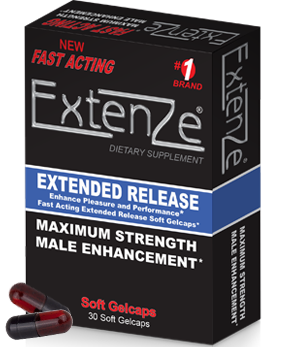 Enjoy this ramp up period and after 30 days switch to 30 days of ExtenZe® Black Max Strength Extended Release for maximum results. 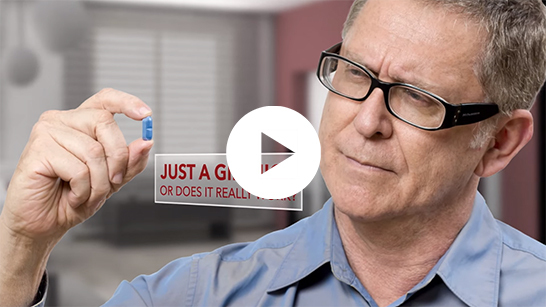 ExtenZe will be discreetly shipped to you, with no labels and no hassle. No waiting in line at the store. Fast, easy and discreet! © 2017 NPE, INC. All rights reserved.